Whenever people asked me what kind of tattoo I would get if I ever got one... I always had this in mind. When I grew up, tattoos weren't very common in New York City, because for some reason, tattoo parlors were banned in the city. 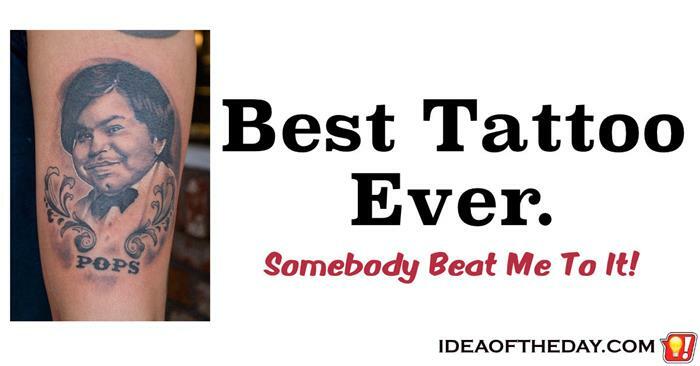 Whenever you saw somebody with a tattoo, it wasn't just some trendy fashion statement. Those tattoos had some kind of deep meaning. Some were reminders of a loved one, others might be a way flip the bird to the universe. Whatever the reason, it said something about who you were and how you felt because it was a reflection of your inner self.